Researchers are still unable to determine if exposure to integrase inhibitors around conception and in early pregnancy increases the risk of neural tube defects in infants, research presented this week at the Conference on Retroviruses and Opportunistic Infections (CROI 2019) shows. Concerns about the risk were raised in 2018 after a higher rate of neural tube defects was observed in infants exposed to dolutegravir around conception and in the first three months of pregnancy in a prospective study in Botswana. The Tsepamo study compared birth outcomes in infants exposed to dolutegravir or to other antiretroviral regimens. Preliminary results showed a prevalence of 0.94% in infants born to women taking dolutegravir at the time of conception, compared to a prevalence of 0.05% in women taking efavirenz. This finding led the World Health Organization to issue guidance recommending that women of childbearing potential should be provided with effective contraception if taking dolutegravir. Numerous African countries have paused plans to roll out dolutegravir as the preferred option for adult antiretroviral treatment in women as they wait for further information on the potential risk. Researchers are now checking whether this safety signal represents an increased risk or whether these cases were a local anomaly or due to chance. Further reports on the prevalence of neural tube defects in infants exposed to antiretroviral drugs were presented at CROI. Lynn Mofenson warned that surveillance data on birth defects must be treated carefully. Studies come from many different sources including randomised trials, case reports, observational studies and registries. Each of these sources has its own recruitment and treatment assignment biases, which may exaggerate or underestimate the risk. Registries of birth defects lack information on the total number of women exposed to the drug, and across the board, there is difficulty in distinguishing between cases that occur associated with exposure at conception or in the first trimester. In the case of neural tube defects, it is important to know whether the case occurred in a country where food is fortified with folate or where supplementation takes place, and to know the background rate in the population. Lynn Mofenson pointed out that of the 174 cases of dolutegravir exposure reported to the Antiretroviral Pregnancy Registry, most are from countries where food is fortified with folate, which reduces the prevalence of neural tube defects. She noted that the median prevalence of neural tube defects in the general population in eight African countries was 0.12%, which is similar to the level seen in the Ugandan study presented at CROI (see above). In that study, the prevalence in infants born to mothers with HIV was 0.07%, in line with the prevalence reported in Botswana in infants exposed to antiretrovirals other than dolutegravir. 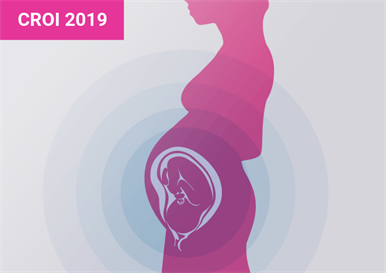 Further data from the Tsepamo study will be available later in 2019 when data on at least 1400 pregnancy outcomes should be available. If no new defects are reported in that study, the statistical likelihood is that dolutegravir is not associated with an increased risk of neural tube defects. But if additional cases are reported it will become necessary to accumulate data on the outcomes of many more pregnancies – up to 2500 according to modelling published last year – before researchers can advise that dolutegravir does not increase the risk of neural tube defects. Albano J et al. Integrase inhibitor exposure and CNS and neural tube defects: data from the Antiretroviral Pregnancy Registry. Conference on Retroviruses and Opportunistic Infections, Seattle, abstract 747, 2019. Barlow-Mosha L et al. Neural tube defects, HIV and antiretrovirals – birth defect surveillance in Uganda. Conference on Retroviruses and Opportunistic Infections, Seattle, abstract 743, 2019. Hill A et al. Reports of neural tube defects for 8 ARVs in FDA, WHO, EMA and UK pharmacovigilance safety databases. Conference on Retroviruses and Opportunistic Infections, Seattle, abstract 746, 2019. Shamsuddin H et al. Evaluation of neural tube defects after exposure to raltegravir during pregnancy. Conference on Retroviruses and Opportunistic Infections, Seattle, abstract 745, 2019. Sibiude J et al. No increase in birth defects in infants exposed to integrase inhibitors at conception. Conference on Retroviruses and Opportunistic Infections, Seattle, abstract 744, 2019. Mofenson LM. Update on antiretroviral drugs and birth defects. Conference on Retroviruses and Opportunistic Infections, Seattle, presentation 59, 2019.